Hanging art is somewhat an art in itself! It can be immensely enjoyable but it’s also easy to muck it up. The end result should truly be a reflection of who you are and give you that warm fuzzy feeling each time you look at it. 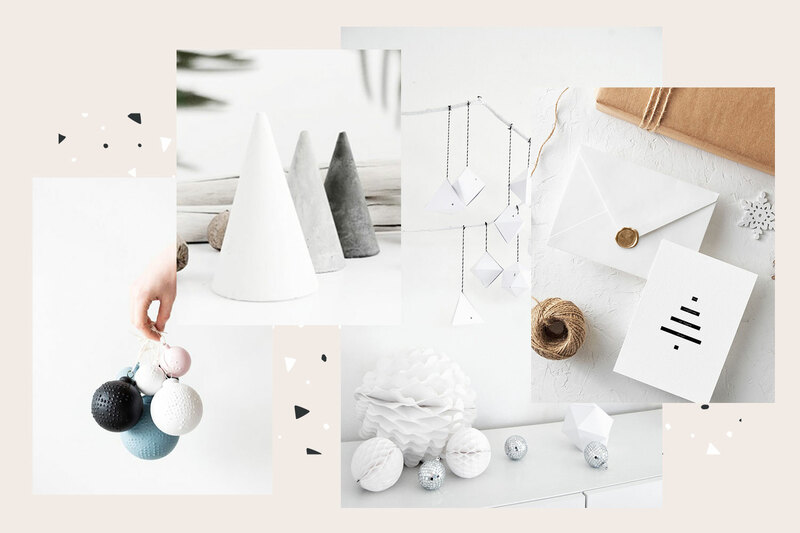 Let’s take a look at the different ways to arrange artwork and see which one fits your personality and your style like that perfect pair of jeans you would not want to live without! You are a no-fuss straight forward kinda gal that loves her coffee black, regularly hangs out in art galleries and rarely takes no for an answer. In short, you are a real #bossbabe. Linear is a great style for you! In this style the pictures are hung in a line – either horizontally or vertically but always in perfect alignment. This style emphasizes rhythm and balance. Why it’s great: A linear configuration works especially well with pieces that are the same size and are framed with the exact same frame. It doesn’t require much work or time to set this up and when hung horizontally, your artwork quickly covers even a larger wall – efficiency right there – you love that too! In addition it’s an excellent way to emphasize any other horizontal element in the room, such as a rectilinear dining table or seating group. What sort of wall size do you need? You’re only limited by the wall width or height and the quantity of pieces you want to hang. And this style looks good with odd as well as even numbers. Being organized is not only second nature to you, it’s what you love. Your coffee-maker is set on a timer, you’ve got planners in every size and color and bullet journaling isn’t just a new buzzword to you. An art wall hung in the grid layout is gonna be your thang! In this style pictures are hung in precise rows and columns that emphasize order and symmetry. Why it’s great: Similar to the linear approach, the grid configuration is perfect for artworks of the same size using the same frame. The grid method works especially well for larger artwork collections . A grid installation is a great way to achieve a striking feature in your home instantaneously, though it will take patience & precision to install – but you’ve got that in spades! You are highly independent and and always up for an adventure. You stopped drinking coffee years ago and rather enjoy discovering new exotic beverages like turmeric lattes and traveling is your passion – you may have even turned it into your job. You’re gonna love the clustered style. A clustered configuration is freer; artworks are arranged within a loosely defined, more organic space. Although asymmetrical, a clustered configuration is still visually very balanced. Why it’s great: A clustered approach is ideal for artworks of various sizes and with various frame finishes. What’s great is, it’s easy to add or swap pieces without dismantling and rehanging the entire installation. What about wall space you ask? With the clustered approach, you have complete freedom – yay you – to use up an entire wall or just a portion of it. It depends on whether you’re trying to maximize your installation size or draw attention to a special furniture piece. But do try to maintain a fairly consistent distance between the frames, otherwise it can look messy. Another little secret to pull this look off: strive for frames of similar thickness. A medley of thin frames mixed with one fat, curvaceous frame can be unsettling – even for an adventurer like you. You are a romantic old soul that loves history-rich architecture and designs. On the weekend you will be found with a cup of Earl Grey in hand, reading your dog-eared copy of Emily Bronte’s “Wuthering Heights” that one more time, while snuggled up to your pooch. You were made for the Salon style! The Salon style is truly old-school. Think of 18th-century Academic paintings on display at the Louvre. Salon style is characterized by a floor-to-ceiling wall-to-wall frenzy of artworks hung tightly together. The method has been re-gaining a lot of popularity lately – look at you, you trendsetter. Why it’s great: Salon style is romantically dramatic. Like the clustered style, it’s a good way to showcase pieces of art of different sizes and with different frame materials, especially if you have a sizable art collection. The framing materials define the space with hard, reflective surfaces, so this tends to make a room feel more closed-in. This isn’t a bad thing — think intimate and cozy. What sort of wall size do you need? You can pull this approach off in small or large rooms, but it’s best used in spaces with high ceilings. Special tip: decide on your furniture placement before starting to lay out your configuration. That way you can work around furniture pieces. You don’t want to hang the entire wall and then realize a dining room chair back hits a painting or the sofa back doesn’t clear the bottom of a frame — Heathcliff would have not approved. You are a style icon! You got an eye for design and are incredibly trendy. 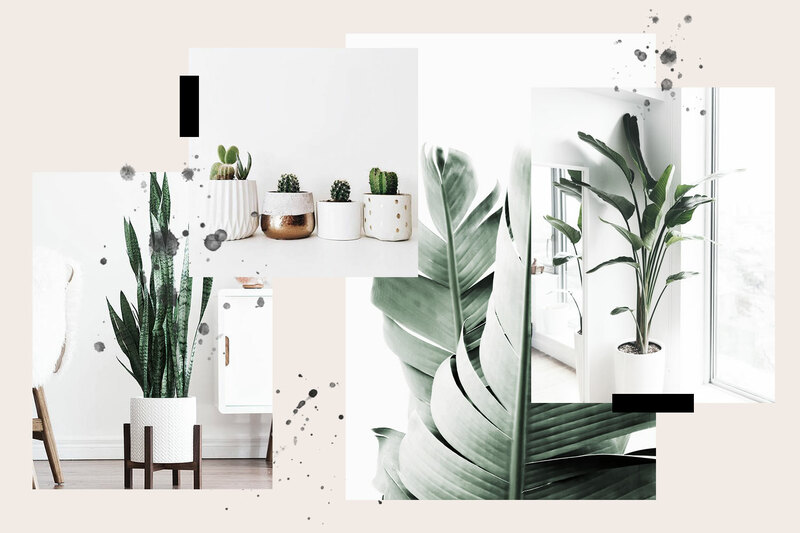 Your latte flat-lays are rocking your Instagram tribe and scandinavian minimalism gives you all the feels. I think you are gonna love this: Pictures aren’t hung on the wall but leaned on an architectural feature, such as a shelf or thin ledges. Why it’s great: If you like to change your artwork frequently, or can’t be bothered with hour-long hanging prep, or simply have space constraints, this is an excellent choice. The shelf style is also perfect for that layered look – mixing lager and smaller frames or objects. But what about wall size? Well, depending on whether you want a single shelf or multiple shelves stacked upon each other, you can pull this look off with a large or small wall. Just make sure that if you want stacking shelves, the height of your largest picture on each shelf should still have a minimum of two inches clearance. Little tip: your cat might think this is her new climbing tree so anchoring the frames with double sided tape at the top avoids accidents. You like simple but yet with an edge. You don’t do conventional and anything you put your mind to is simply a success. You are a matcha-drinking hosting goddess who speaks most likely more than two languages and are currently renovating your Insta-worthy Soho loft apartment. This style is just right up your alley: Placing artwork on the floor and leaning it against the wall offers the same flexibility as the shelf approach. However, it does have a somewhat calculated sense of casualness and joie de vivre. What sort of wall size does this require? You need enough wall space and floor space clearance to accommodate the piece. What you wont need are holes to drill or nails to hammer, and it’s a great option if you have a large piece of artwork. Leaning artwork is unusual and, like salon style, can be wonderfully dramatic. Just one little side note: If you’re clumsy or you have small children or pets, this is probably not the best route to choose. You need to be able to move the artwork to clean behind it. Leaning also tends to look strange with wall-to-wall carpet because it looks like you just moved in and are in limbo. Somehow, this scenario really looks good only with hardwood floors or large loft spaces with finishes such as polished concrete or marble – but of course you’ve got that covered! You are a true minimalist that loves to make a statement. You are the life of every party, a social butterfly and never stay too long in one place. Your coffee is a double espresso served in a street cafe in Milan and your Kinfolk is not just an Instagram prop. The single hung art piece is perfect for you! In this style, large single artworks are centered either on a wall, or in relationship to another component, such as above a fireplace or a large dining table. Why it’s great: A single artwork creates a strong focal point or zone in a room. It’s also easier to hang one piece than align several pieces, such as in a grid arrangement. It’s the simplest art style there is. But what’s the best room size for this? For a large art piece, you’ll need ample wall space — enough for the piece and plenty breathing room around the perimeter so it doesn’t look cramped. You’ll also need to take into consideration the weight of the artwork and how to anchor it into your wall material in the desired location. You don’t fit into stereotypes and quirky is your middle name. You don’t have just one way you drink your coffee and you live your life in the moment. You are very creative and enjoy a good DIY. Power tools do not scare you and starting a nonprofit to help animals is on your bucket list. Why it’s great: Not only does it defy any attempt to be symmetrical, but it really pushes the envelope of design and creativity. This style is as unique as you and instantly adds wow-factor to any room size. But, without the right subject, this approach is hard to successfully achieve. But you’ve got this – you are in your element here. There you have it, from linear to quirky there is definitely a style just for you. So before you go, let’s talk a moment about how to actually hang it all up there. Depending on the style you chose you either need a lot of patience or a lot of guts. For those more linear, grid kinda styles you should go to the trouble of making templates of the frames and taping them up to make sure you like the composition. This takes patience and time but delivers a solid no-fail result. A lot of those frames actually have a template inside them (on the white backing paper) that tell you where the nail hole is which is very handy. Find great ideas and combinations on my Inspo page.